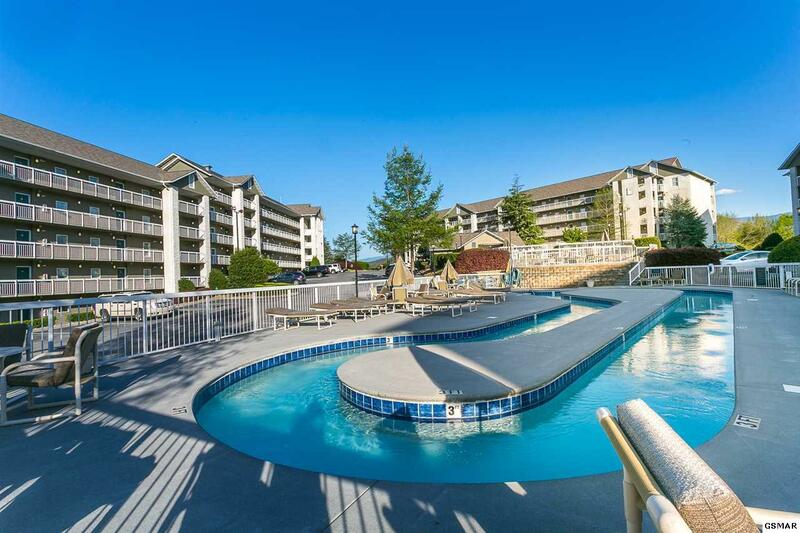 Mountain & Pool Views in the middle of Pigeon Forge! 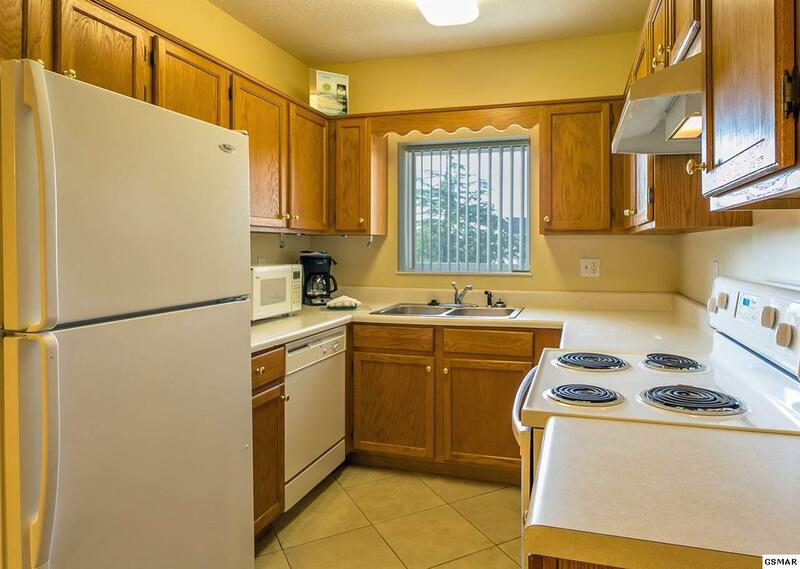 This 2 BR, 2 BA condo is conveniently located off the Parkway - close to all the restaurants, shopping, shows and attractions. 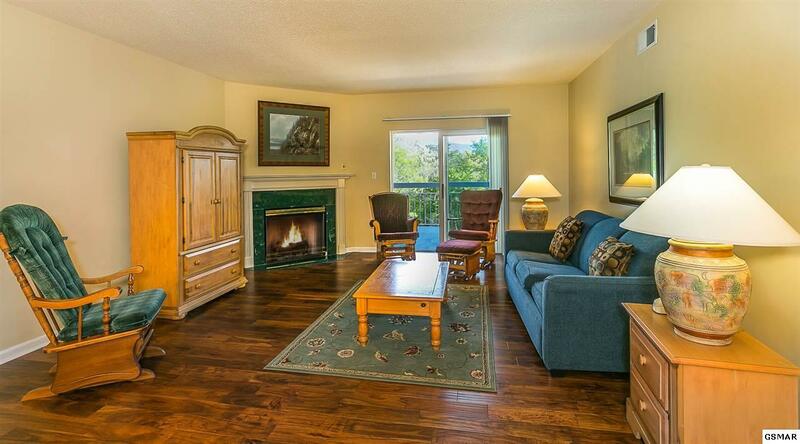 The condo comes fully furnished and is move in ready. Currently used as a overnight rental investment, it would also make a wonderful vacation home. If you are considering retiring to this area, you have all the conveniences without the hassle of outside maintenance and yard work. 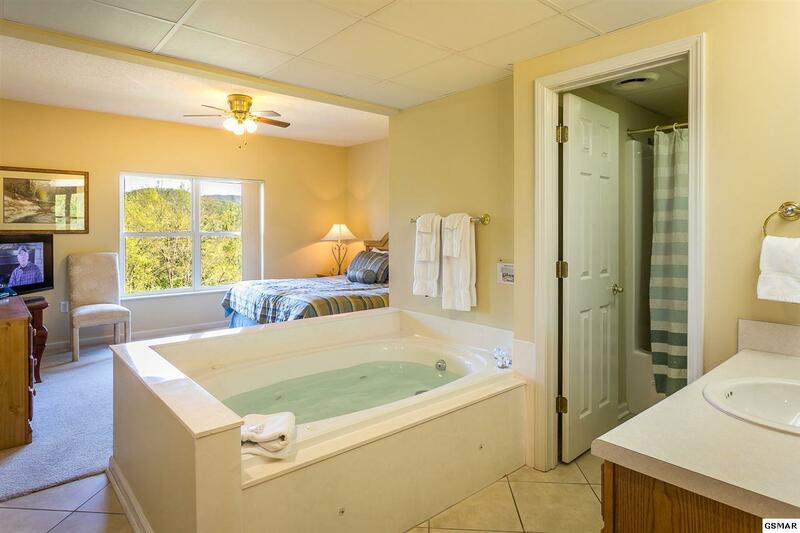 The spacious MBR en suite has beautiful mountain views and a jetted tub for your relaxation. The 2nd BR has a lovely pool view. The open floor plan make this a great place for family gatherings or entertaining. The great room opens to the large concrete covered deck with tranquil Smoky Mountain views. Enjoy the lazy river and pool when it's warm or choose the indoor pool and sauna during the chilly days. The workout room is great for burning off those extra vacation calories.